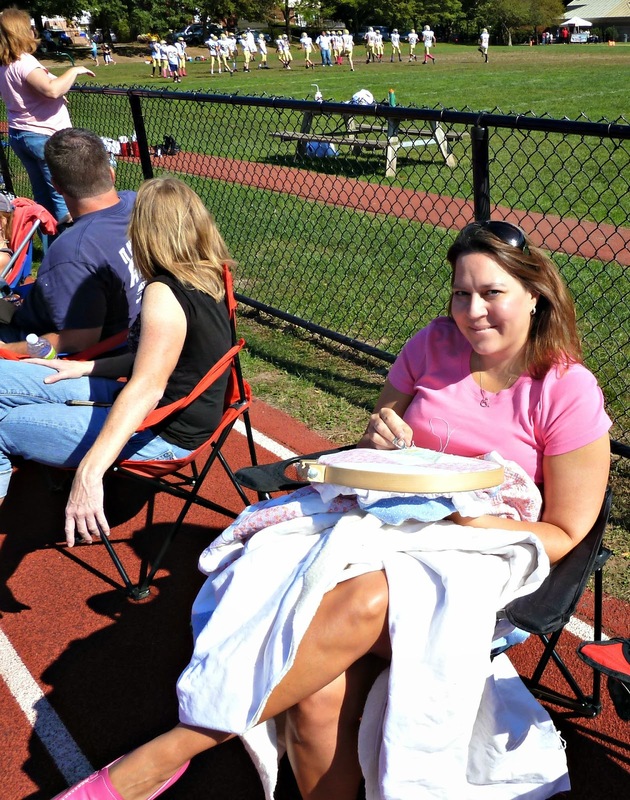 The lovely Shauna of lovinquiltin tagged me in the Around the World Blog Tour and since it coincided perfectly with my 4th blogiversary this seemed like the perfect time to reflect. I had no idea what I was getting myself in to when I started blogging but I wanted to become an active participant in this amazing community which has given me so much creative inspiration and support. 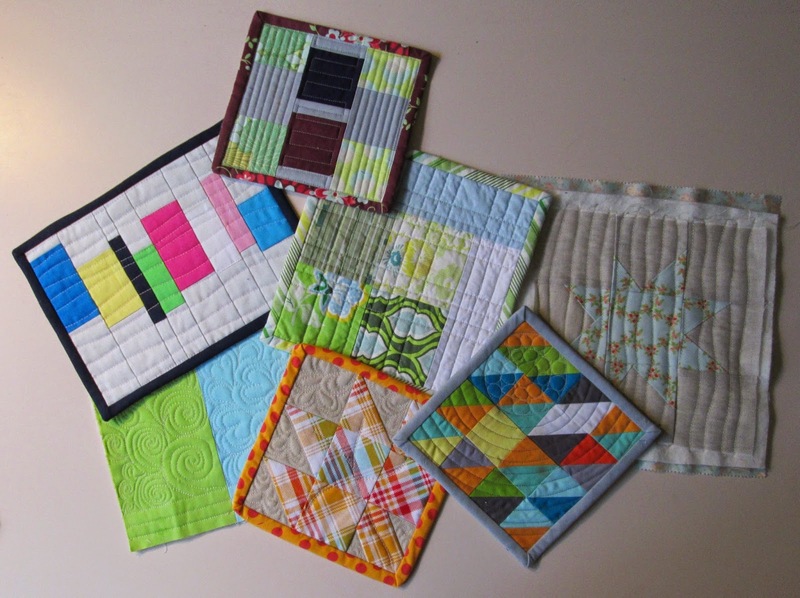 Along the way I've made friends with some of the most fabulously talented quilters in the world, served as President of the BostonMQG, been featured in Quilting with a Modern Slant, and made more quilty things than I ever imagined possible. Why do I write/create what I do? 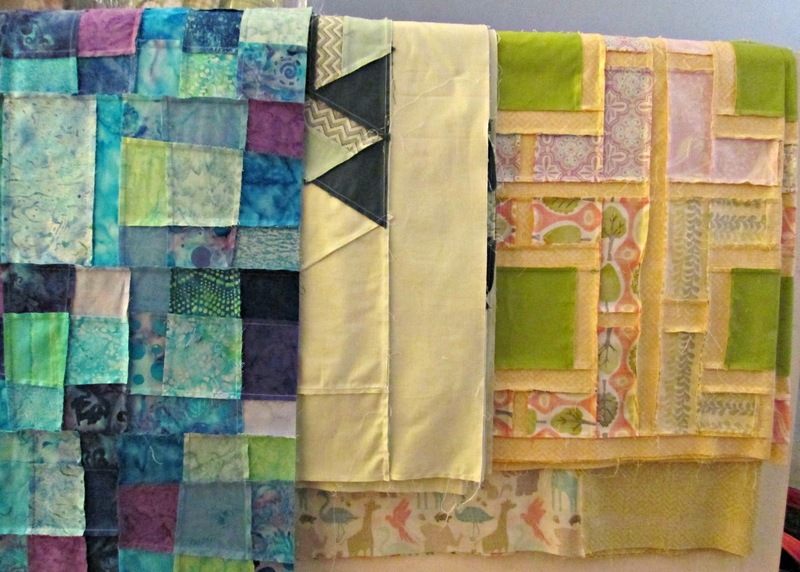 Quilting keeps me sane! I am incredibly bad at doing nothing so having something to sew while I watch TV, attend a sporting event, ride in a car, or wait for practice to end keeps me occupied. 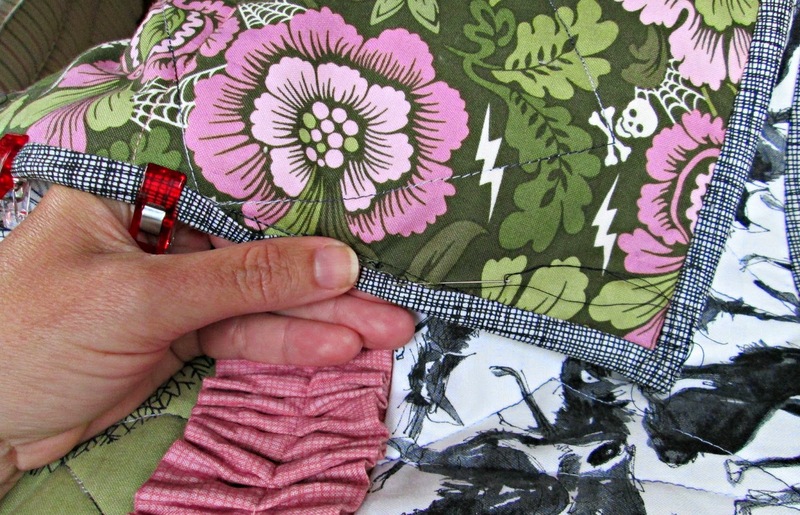 Even my non-quilty friends don't blink when I whip out a binding to tack while we're hanging out. I love the way that I can express myself creatively through fabric and since I'm always cold have something useful to show for it. I started blogging with this simple goal: "I hope I can do for you what so many others have done for me: make you laugh, show you how to do a thing or two, and ignite your creativity." I love how my blog documents my creative journey and reminds me to keep it fun. 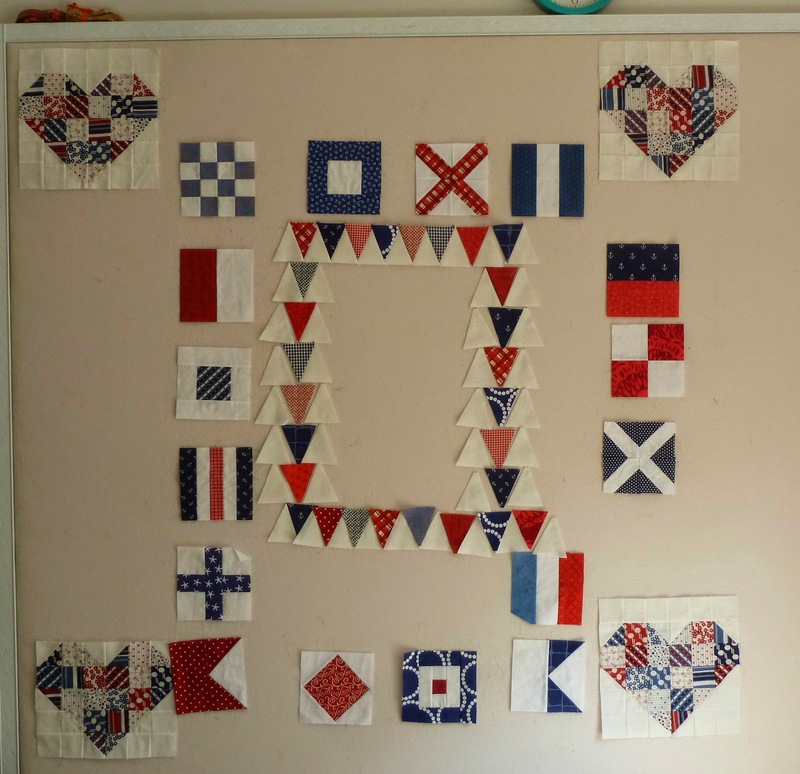 How does my writing/creating process work?I'm a bit ADD when it comes to quilting. I usually have a bunch of projects going on at the same time and flip between them depending on what I'm in the mood to do and what works with the block of time available. 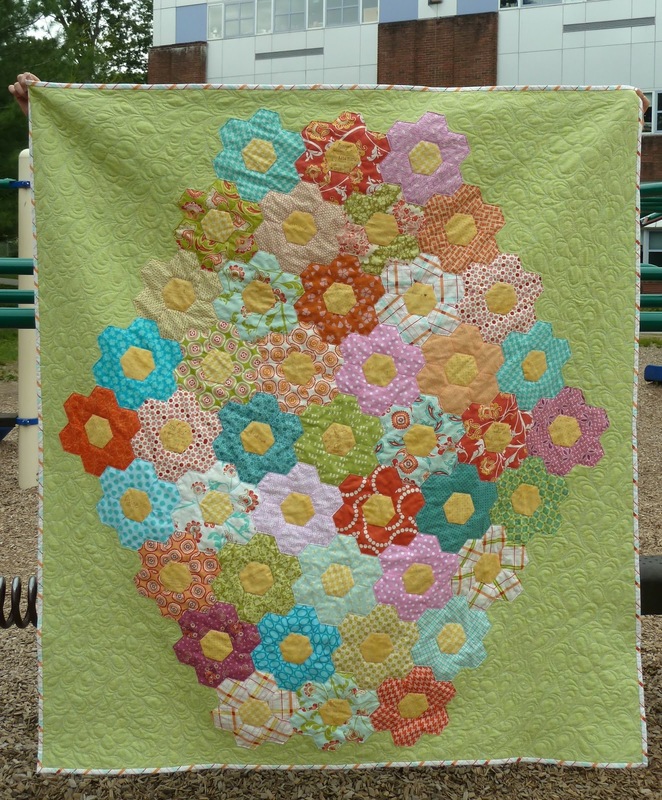 Most of my quilts are inspired by another quilt I absolutely loved. Then I'll start thinking about how I would have done it differently. In most cases I start with an idea but not a fully formed plan. I work largely from trial and error. My husband built me this fabulous design wall which is constantly in use as I move things around and try different designs. I'm really messy and there's usually fabric everywhere. Once I start it generally evolves away from the original and takes on more of my style. 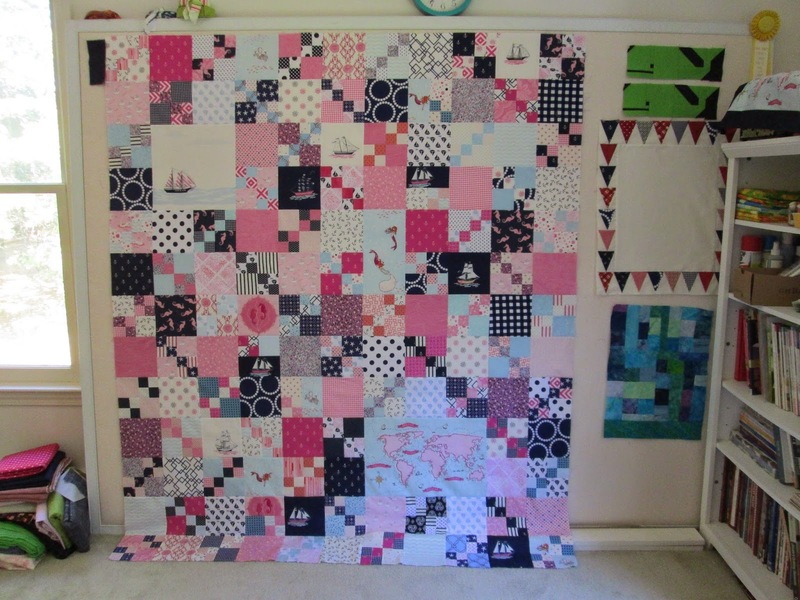 Choosing a quilting design is the hardest part of the process for me. The texture of the quilting can really make or break the finished quilt so I've really pushed myself the last few years to expand and improve my machine quilting skills. I almost always make a small sample with the fabrics I'm using in my quilt which I use to test my tension, thread colors, and quilting ideas before tackling my quilt. Later I bind them and use them as mug rugs that end up scattered around my house. When left to my own devices pattern testing Preppy the Whale for Elizabeth Hartman I made a single block and set it in a striped background. Inspired by Katy's Hexie MF I used child labor willing sixth graders to make this end of year gift for their teacher. Oh, and I use a lot more pink! To keep the fun going I'm inviting two of my favorite fellow BostonMQG members to join. 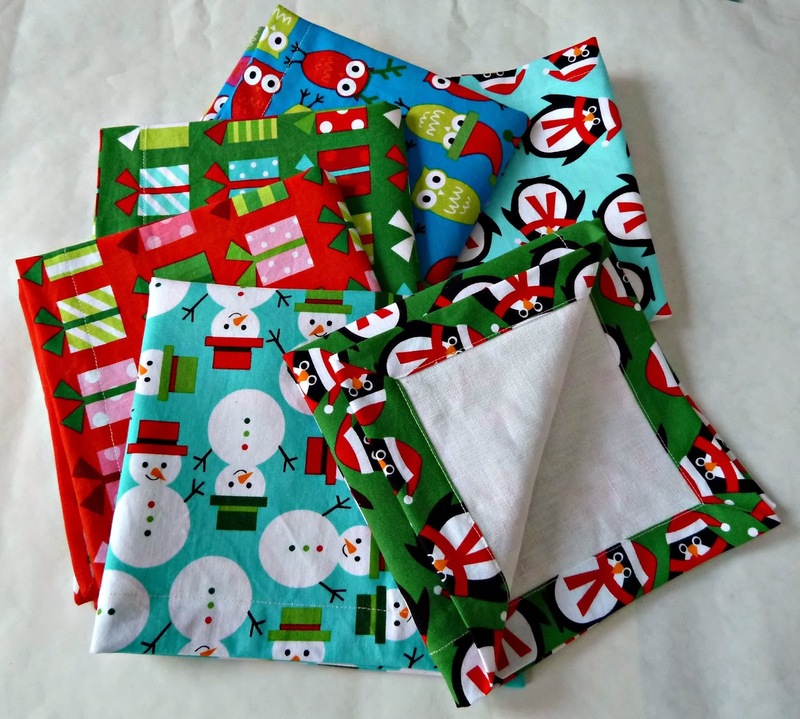 Tina from ModGeometry is not only one of the sweetest people around she has an amazing eye not just for quilting but for actually designing her own fabric. She's busy finishing up projects to take to Quilt Market (lucky duck) but graciously agreed to take time to share her creative process. Rebecca and I have been friends since the earliest days of the BostonMQG. We've had so many fabulous adventures together and I am always awestruck by her quilts. Take a peek at her absolute color genius on her blog Parsley is the New Black. Loved this entry!!!!! I'm dying over that nautical medallion. So enjoyed reading your blog today and getting to know you a little better. 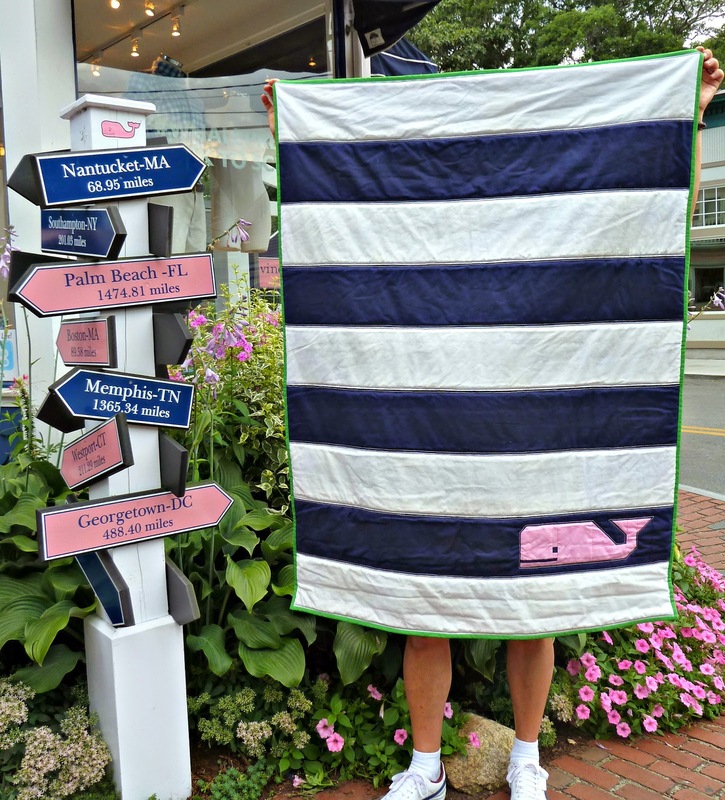 Love the quilt with the pink whale!! 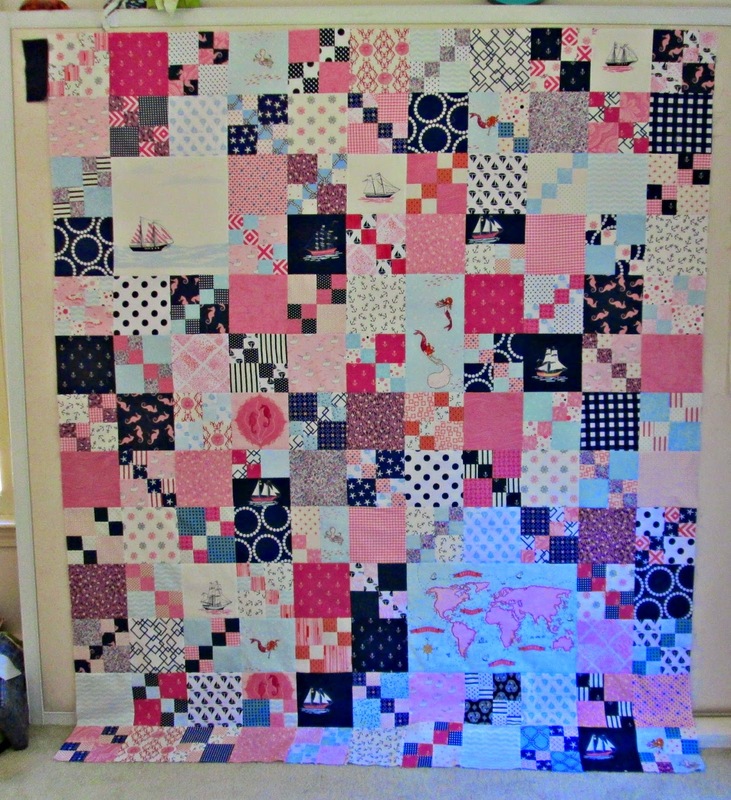 I can see that you quite like the nautical look as is showing up in some of your quilts. Happy blogiversary!! 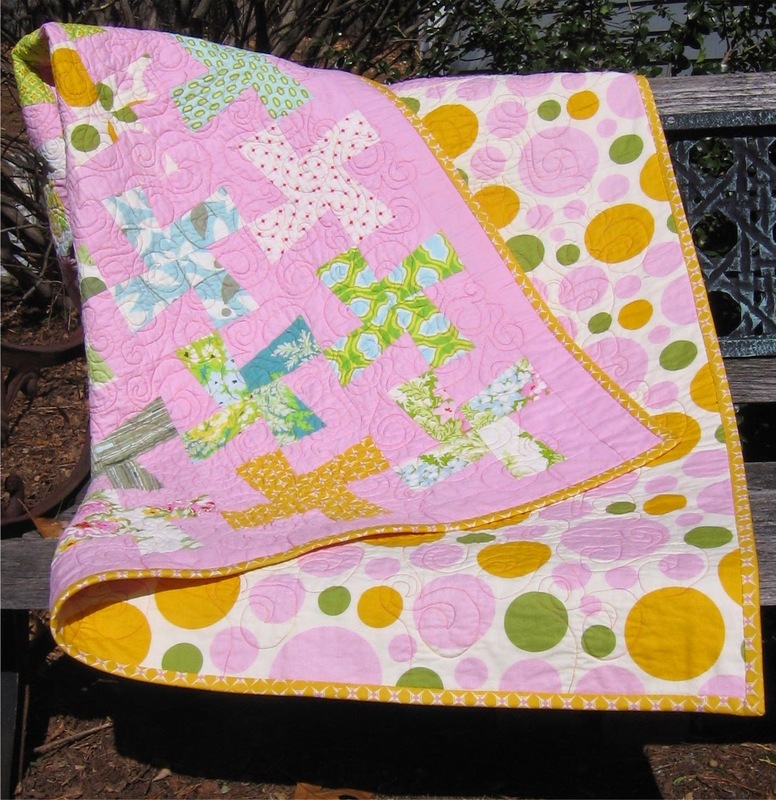 I loved reading about you and your creative process :) your quilts are always gorgeous!